Tummy time is a common topic amongst pediatricians and new parents, but some babies are just not into it. This time is important so that babies can build head and neck strength that will lead to proper development of motor skills, and there are many ways to practice. 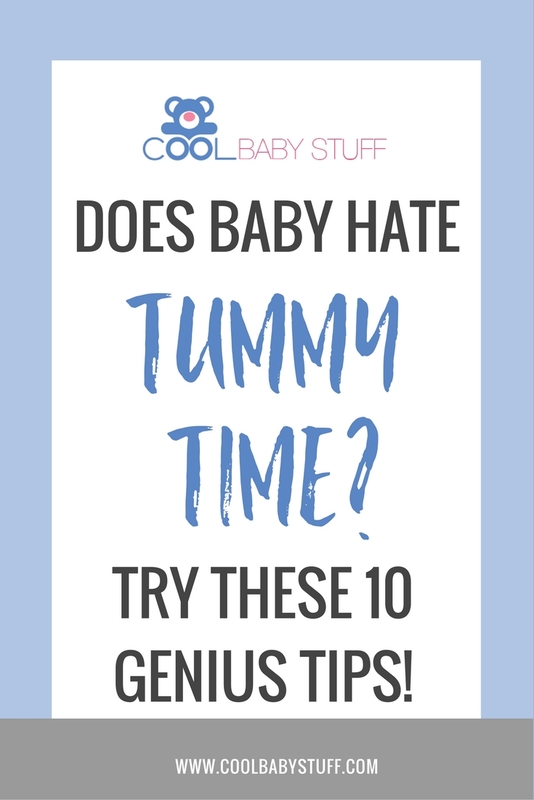 If your baby hates tummy time, try some of these tips to make tummy time enjoyable for both you and baby! Just about anytime that you are holding baby chest to chest counts for tummy time! When they are held in an upright position and given free reign in moving their head and neck around, they are building their muscles and getting better at head control. This is also great for babies who prefer being more vertical due to reflux. When you wear your baby, they will often bobble their little head around as they try to gain control. This is another great way for them to get practice on their own terms and while remaining vertical. Here are 5 of the best every day use carriers. Sit in a chair and lay baby tummy down across your legs, with their head hanging over the side. Gently sway back and forth as they look around. You can also place them on a big exercise ball and gently roll it back and forth. If baby hates tummy time, there are all kinds of great activity mats for babies that will help. Some mats have toy piano keys at the edge of the mat so that baby makes music each time they kick it. 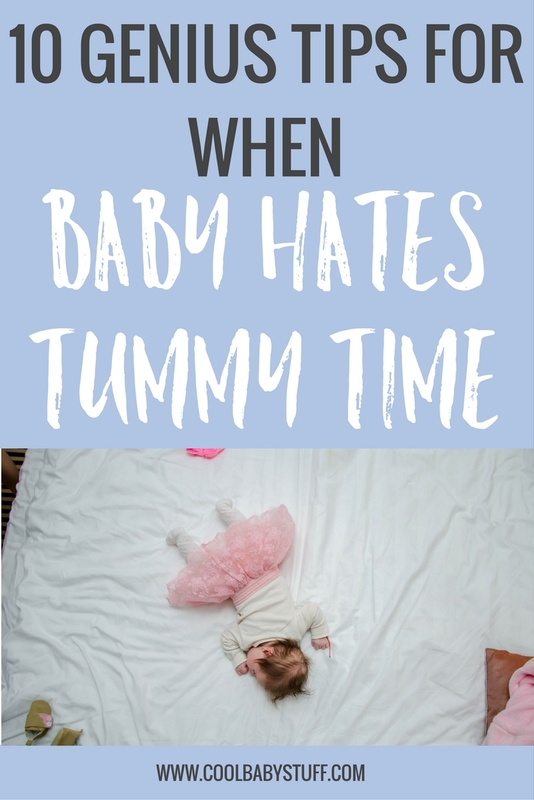 The noise will grab baby’s attention and keep them interested in tummy time for at least a few extra minutes. Wherever you lay your baby, get on their level. Make direct eye contact, smile and talk or sing. Engage with them and make it a fun bonding time. It is recommended that babies have 30 minutes a day of tummy time. But this doesn’t have to be all at once! You can even split it up into increments of 1-2 minutes. Move baby from room to room so that they have a change of scenery, and keep it brief but frequent. Lay down on your back and place baby chest to chest. Lift your head so that you and baby can engage. This is also a good time for you to get in a small ab workout! This is sometimes better for older babies who have better head control (around 4 months of age). Lay on your back with your legs bent in the air, and place baby’s tummy on your shins with his head at your knees. Have fun making airplane noises and trying to get giggles! Place a mirror in front of baby’s face while they lay on their tummy so that they can see themselves. It will grab their attention and encourage them to pick up their head. You could also use a colorful book or toy! Place baby on the edge of the bed with their head hanging off the side and sit in front of them face to face. Some babies may like the softer surface of the bed, and all babies will love interacting with someone they recognize and love!